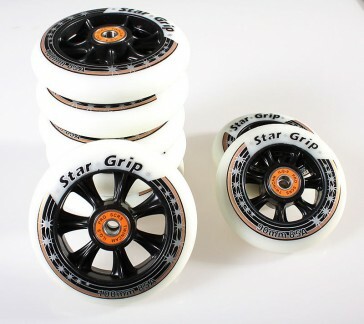 The set includes 6 x 100 mm K2 Radical Wheels, K2 Radical 90 mm Wheels 2x, 16x ILQ-9 Pro ball bearings and 8 Spaer. The rolls are supplied fully assembled, as shown in the figure. The wheels of hardness is 85A - ideal for high speed.